View More In Basic Cases. 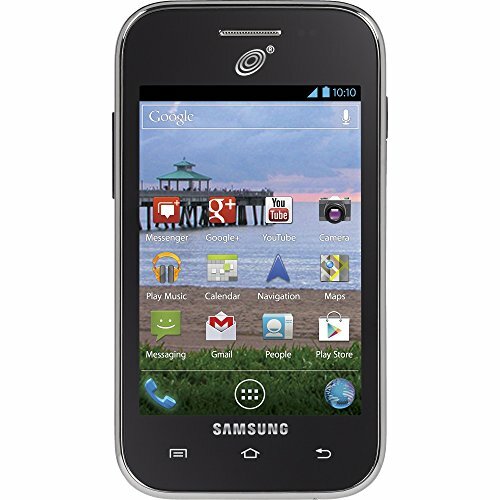 he TracFone Samsung Galaxy Centura S738c Prepaid Cell Phone features a 3.5-inch touchscreen and a 3MP camera. It runs on Android 4.0 (Ice Cream Sandwich) and brings you up to 7.22 hours of talk time and up to 10.33 days of standby time. With this mobile device, you'll also enjoy 3G/Wi-Fi connectivity. The Samsung Android phone comes complete with all the essential accessories as well. Includes Triple Minutes for Life FREE! No activation fees, contracts, monthly bills or credit checks. An Airtime Card is required for activation of this phone.